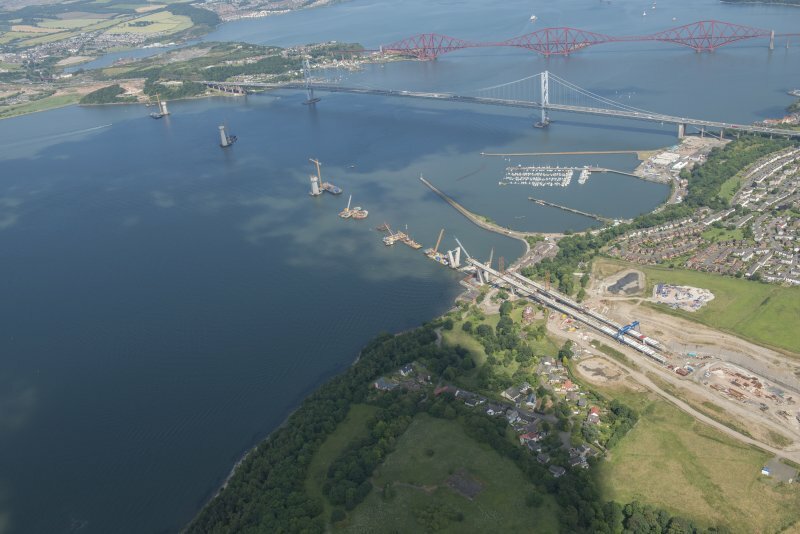 Oblique aerial view of the construction of the Queensferry Crossing and Port Edgar, looking E.
General oblique aerial view of the construction of the new Queensferry, the Forth Road Bridge and Port Edgar, looking NNE. 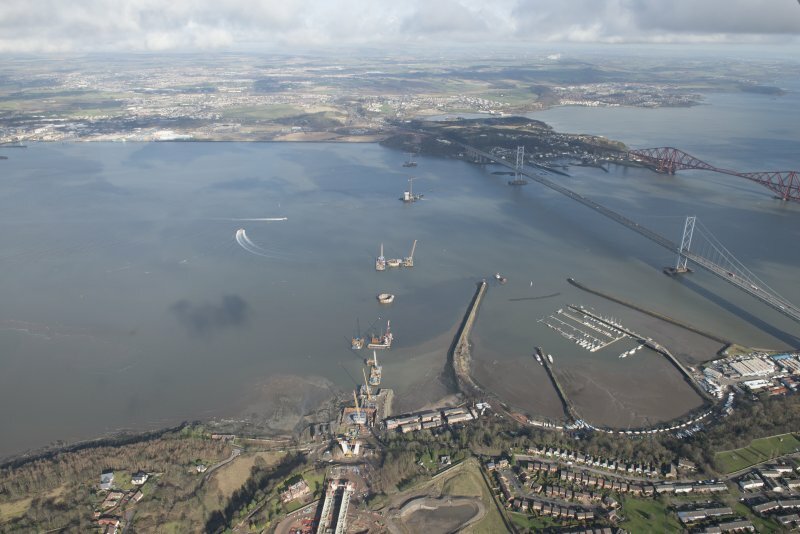 General oblique aerial view of the River Forth centred on the construction of the new Forth Bridge crossing, looking to the ENE. 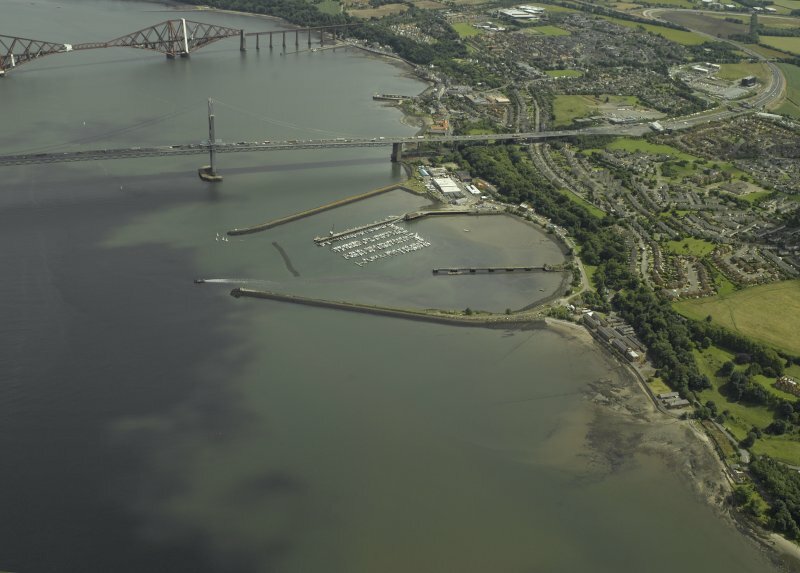 General oblique aerial view centred on South Queensferry with the bridges adjacent, taken from the SW.
General oblique aerial view centred on the former Royal Naval Base, taken from the SW.
Oblique aerial view centred on the barracks, officers' quarters, air raid shelter, stores, boiler house and gym, taken from the NNW. 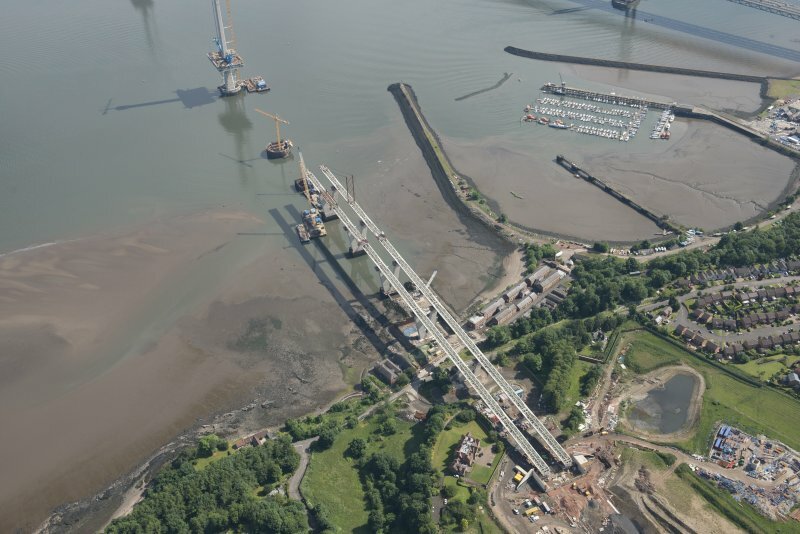 Oblique aerial view of the construction of the Queensferry Crossing and Port Edgar, looking SSW. 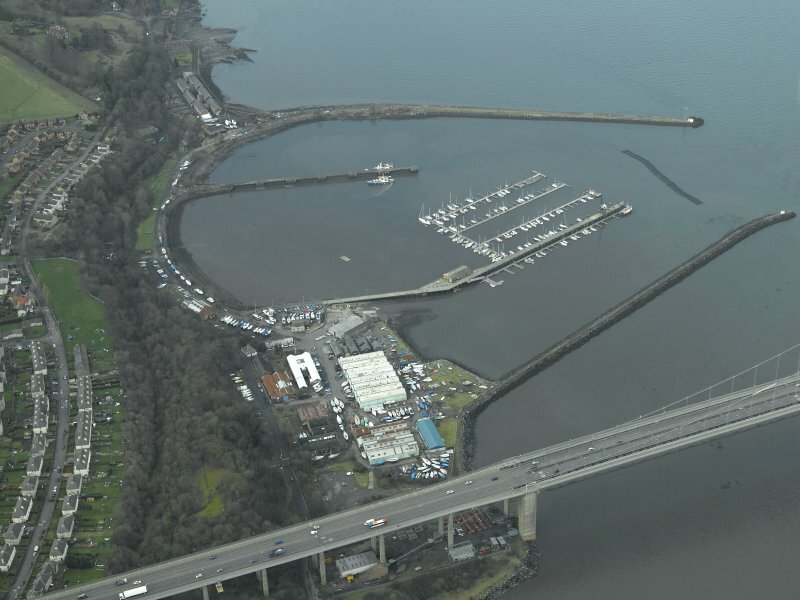 Oblique aerial view of Port Edgar, looking WSW. 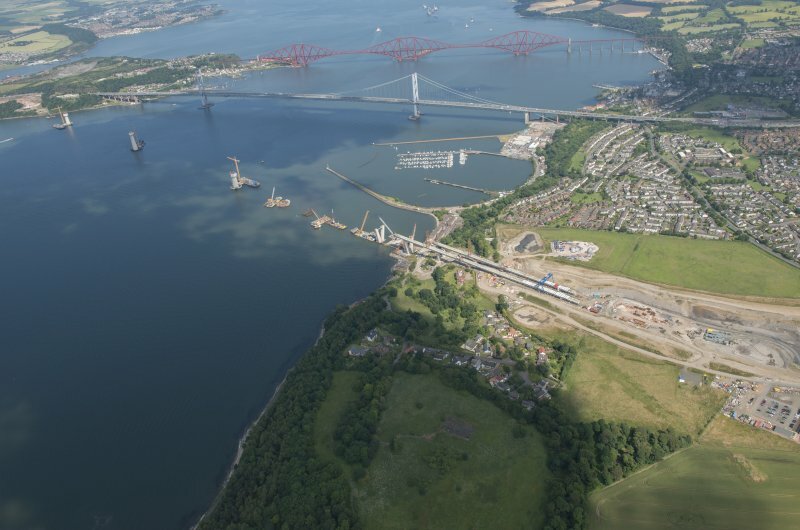 General oblique aerial view of the construction of the new Queensferry, the Forth Road Bridge and Port Edgar, looking N.
General oblique aerial view of South Queensferry, taken from the E.
Oblique aerial view of the construction of the Queensferry Crossing and Port Edgar, looking NE. 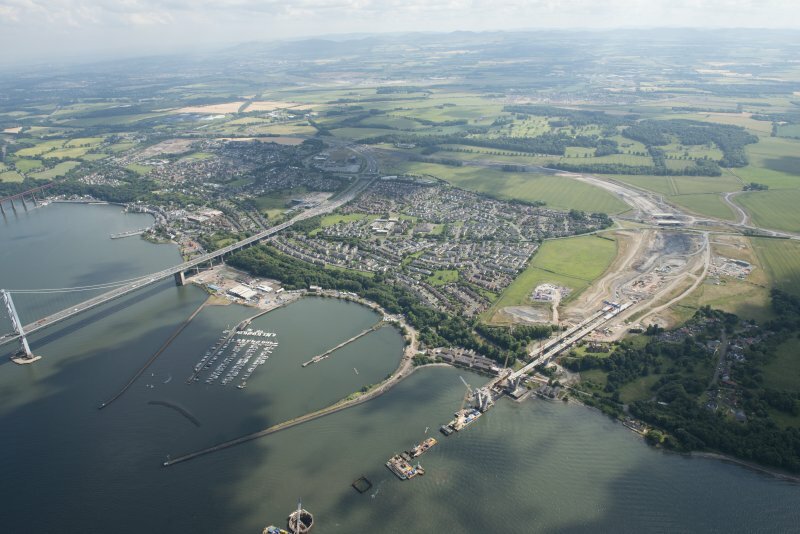 Oblique aerial view of the construction of the Queensferry Crossing and Port Edgar, looking SE. 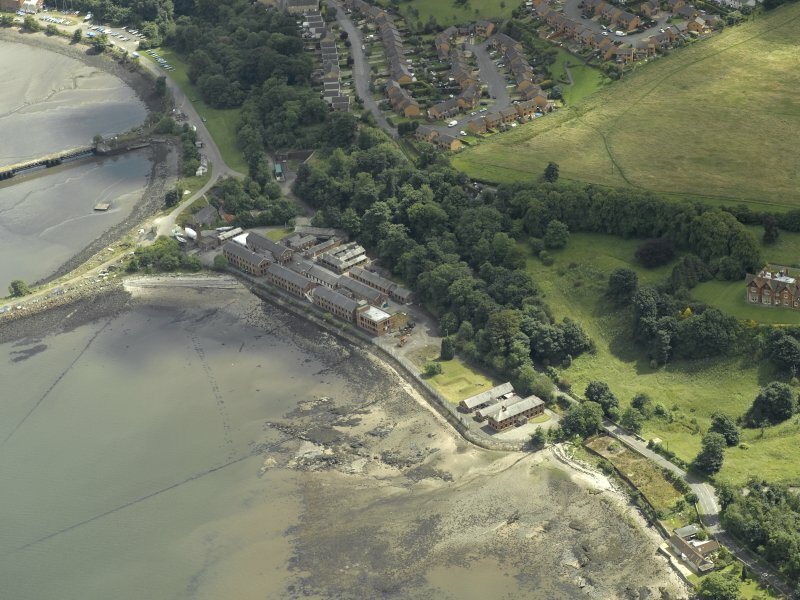 Oblique aerial view centred on the former Royal Naval Base, taken from the NE. 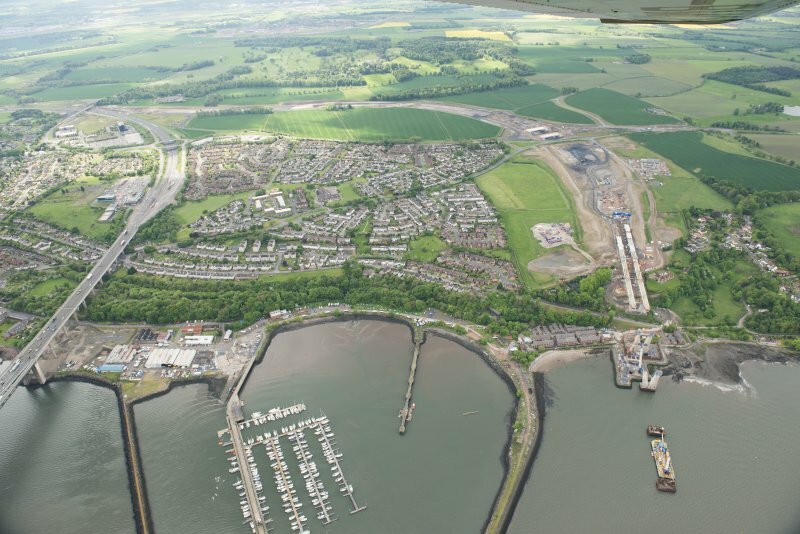 Oblique aerial view centred on Port Edgar harbour and former Naval Base, taken from the SE. 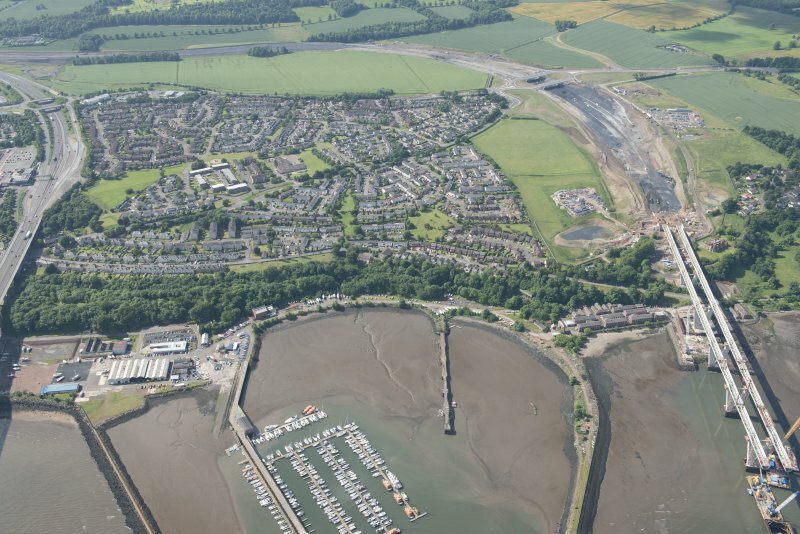 Oblique aerial view centred on Port Edgar harbour and former Naval Base, taken from the SW.
Oblique aerial view centred on the officers' quarters, air raid shelter, stores, boiler house and gym, taken from the W.
Oblique aerial view of the construction of the new Queensferry Crossing and Port Edgar, looking SE. 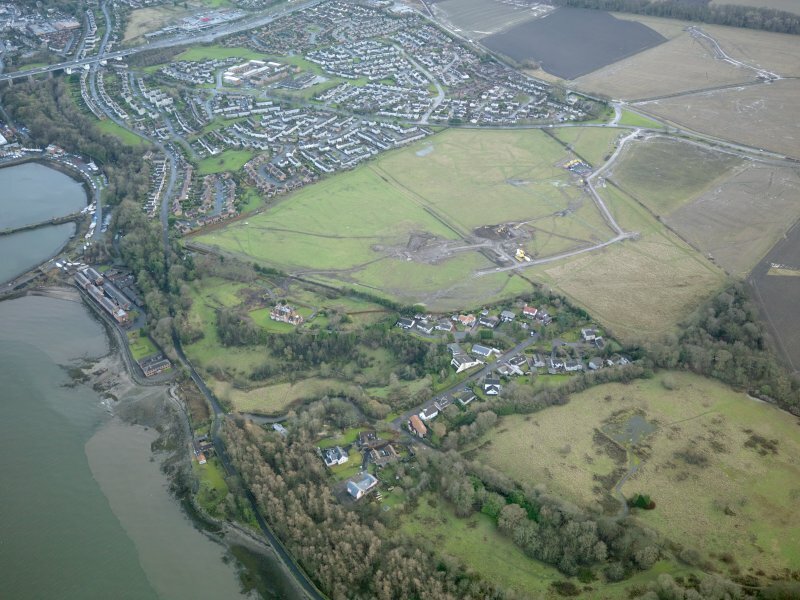 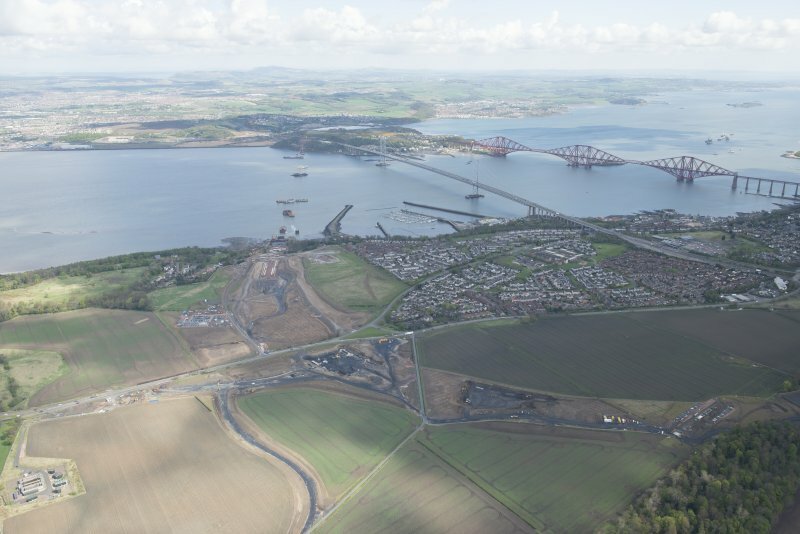 General oblique aerial of the new Forth crossing works site, taken from the N.
Oblique aerial view centred on part of the former Royal Naval Base, taken from the WNW. 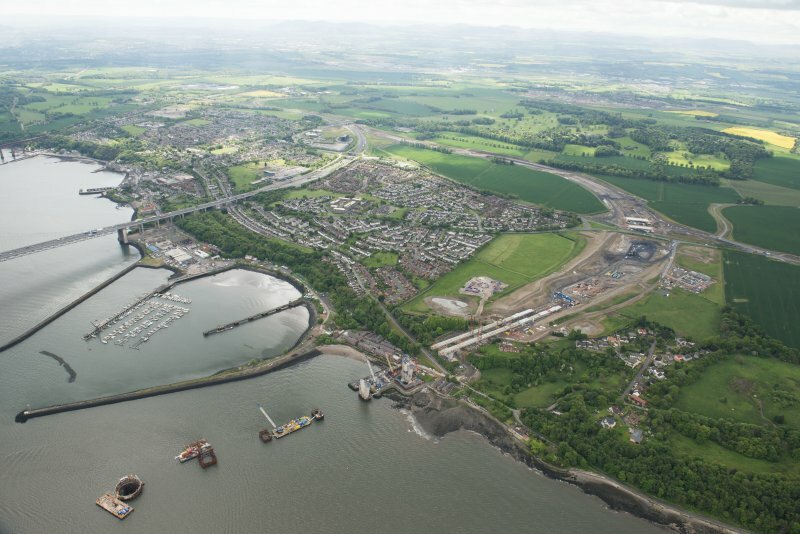 Oblique aerial view centred on Port Edgar harbour and former Naval Base, taken from the NW. 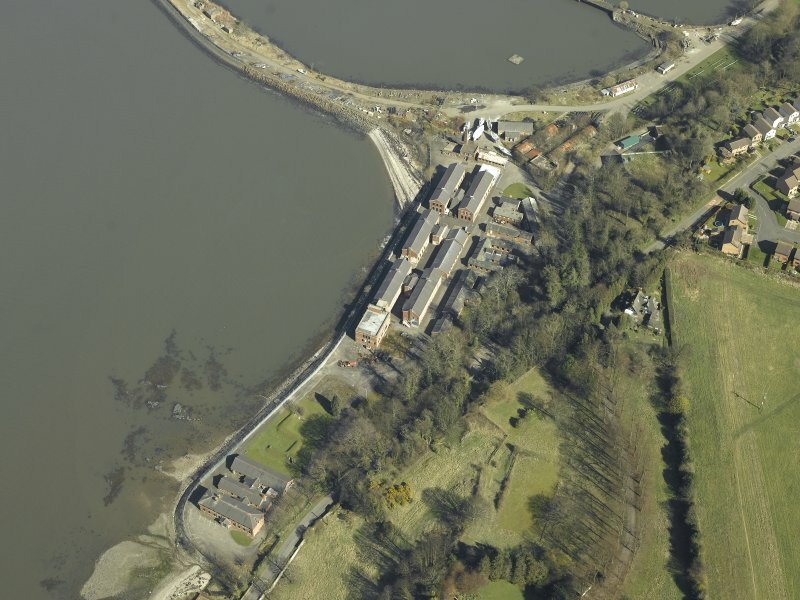 Oblique aerial view centred on the officers' quarters, barracks, air raid shelter, stores, boiler house and gym, taken from the WNW. 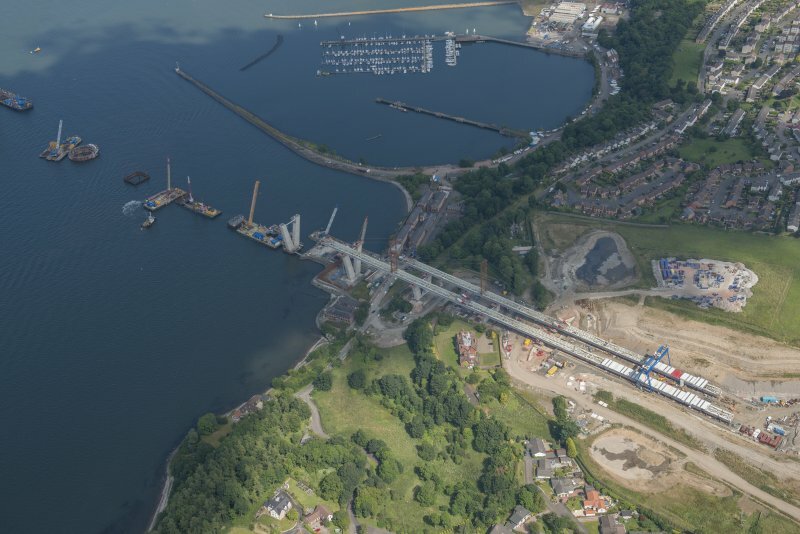 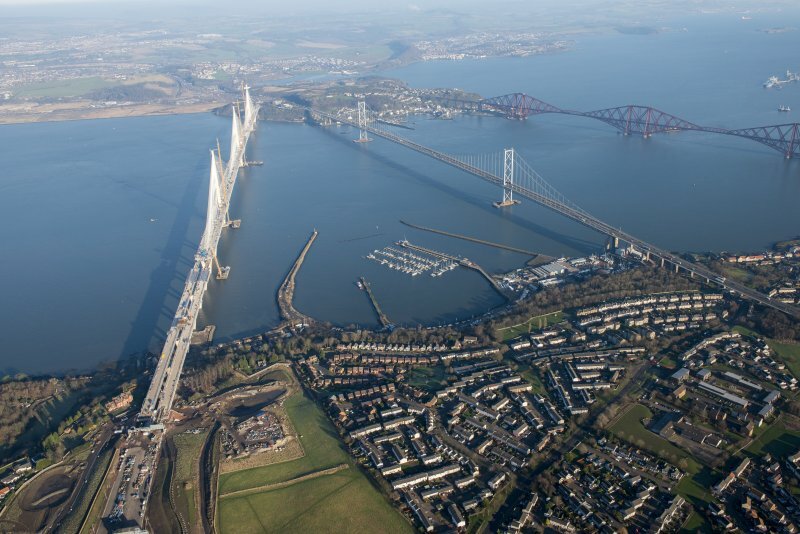 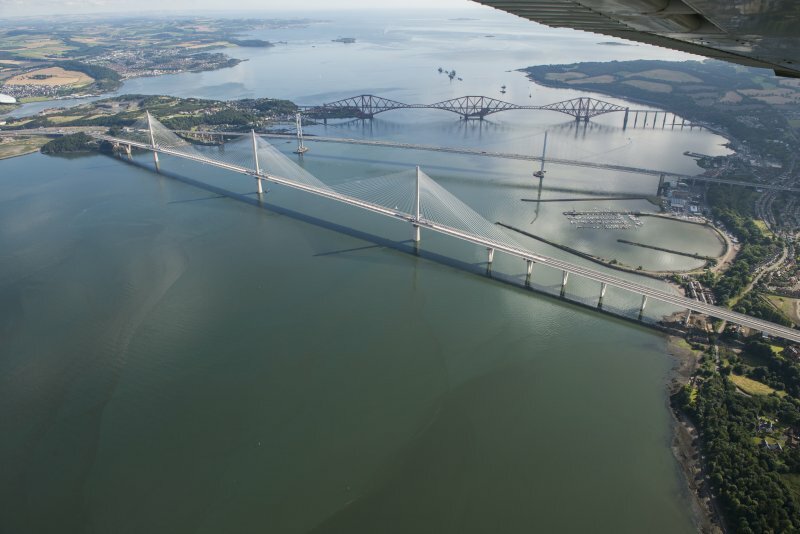 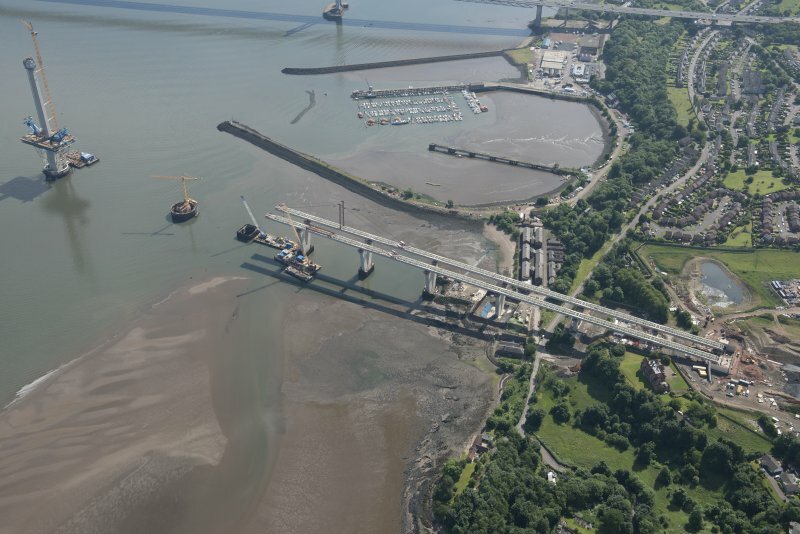 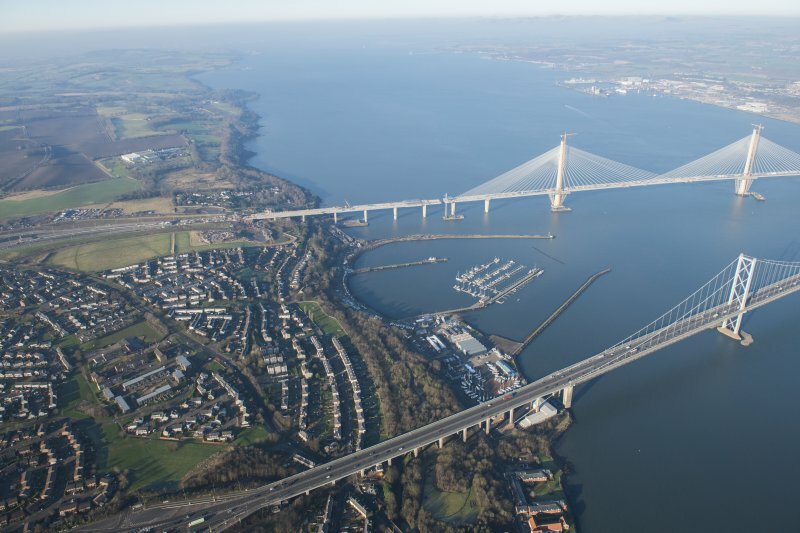 Oblique aerial view of the construction of the new Queensferry Crossing and Port Edgar, looking SSE. 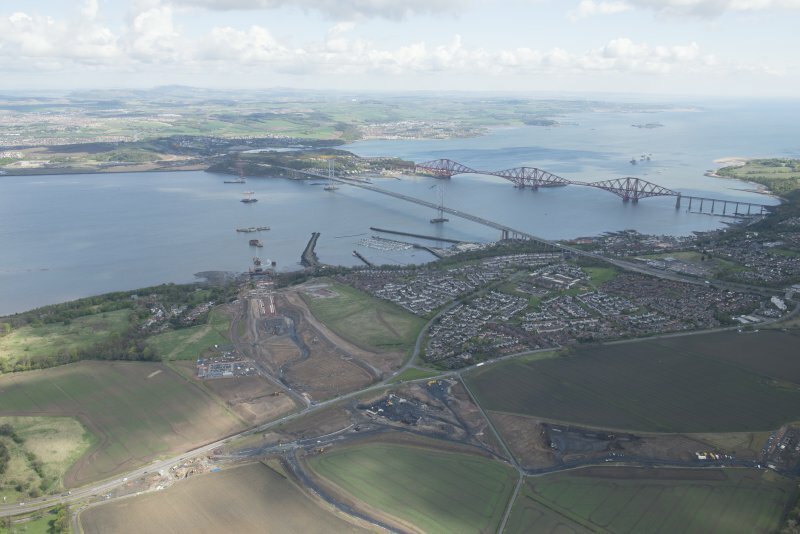 General oblique aerial view of the construction of the Queensferry, the Forth Road Bridge and Port Edgar, looking N.
General oblique aerial view of the River Forth centred on the construction of the new Forth Bridge crossing, looking to the N.
Oblique aerial view centred on the former Royal Naval Base, taken from the NNE. 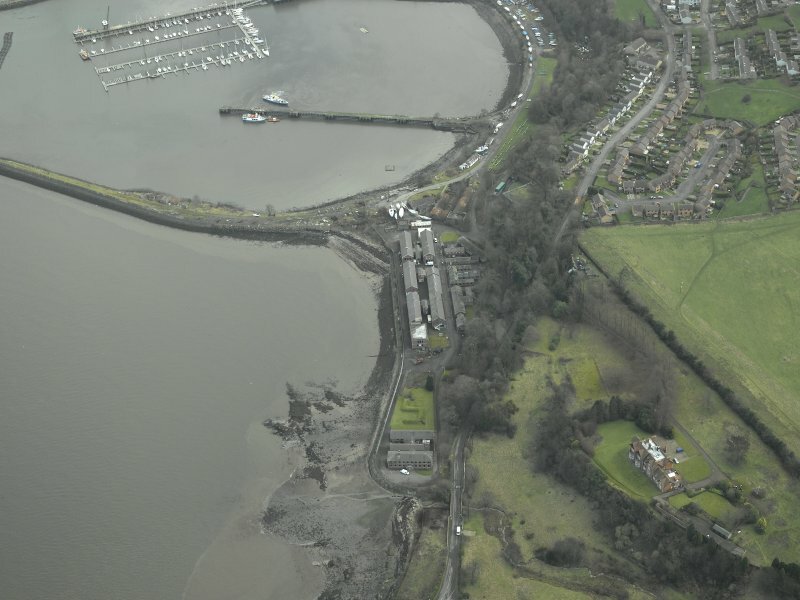 Oblique aerial view centred on Port Edgar harbour and former Naval Base, taken from the E.
Oblique aerial view centred on the officers' quarters, air raid shelter, stores, boiler house and gym, taken from the WSW. 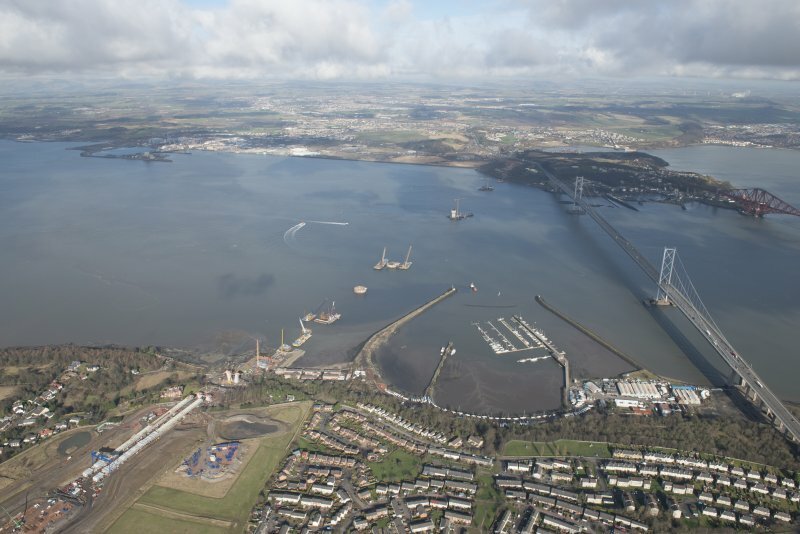 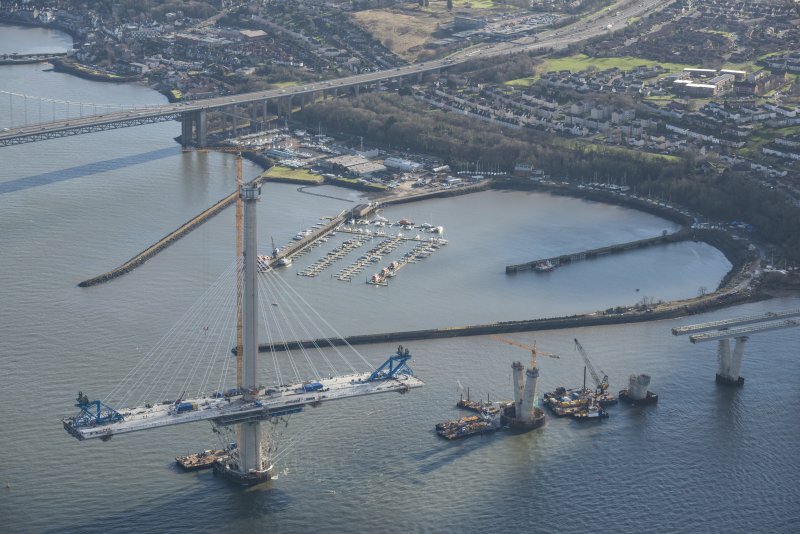 Oblique aerial view of the construction of the Queensferry Crossing and Port Edgar, looking ESE. 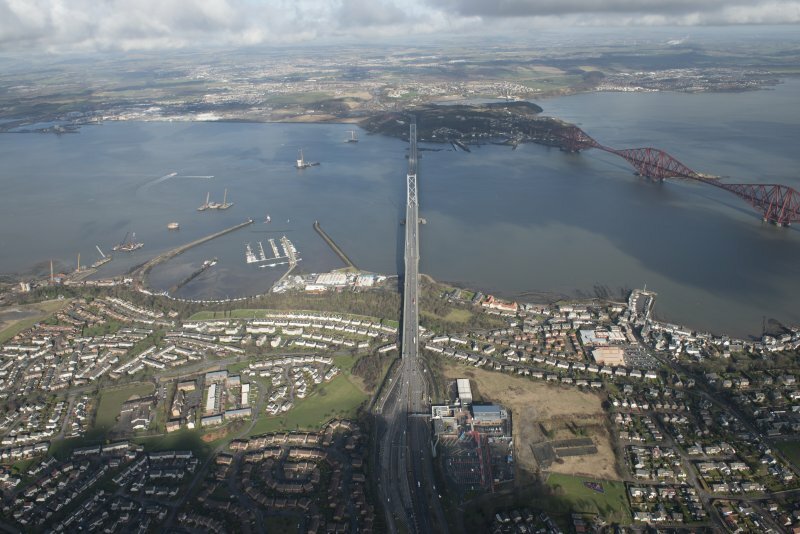 General oblique aerial view of the River Forth centred on the construction of the new Forth Bridge crossing, looking to the WNW. 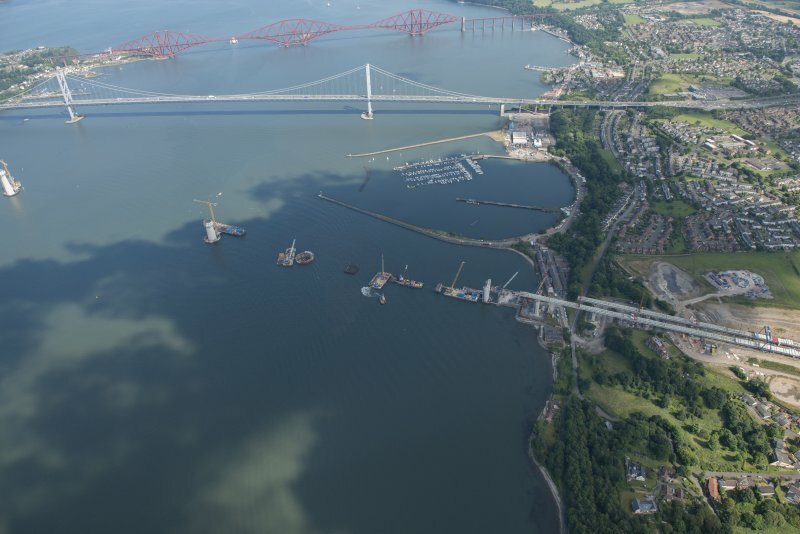 General oblique aerial of the new Forth crossing works site, taken from the WNW. 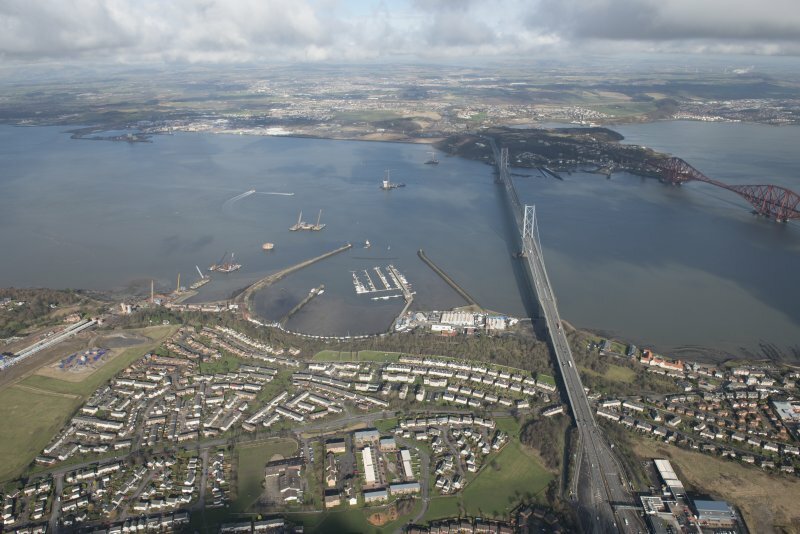 General oblique aerial view looking towards the Forth Bridge and Forth Road Bridge centred on the former Royal Naval Base, taken from the W.
Oblique aerial view centred on Port Edgar harbour and former Naval Base, taken from the WSW. 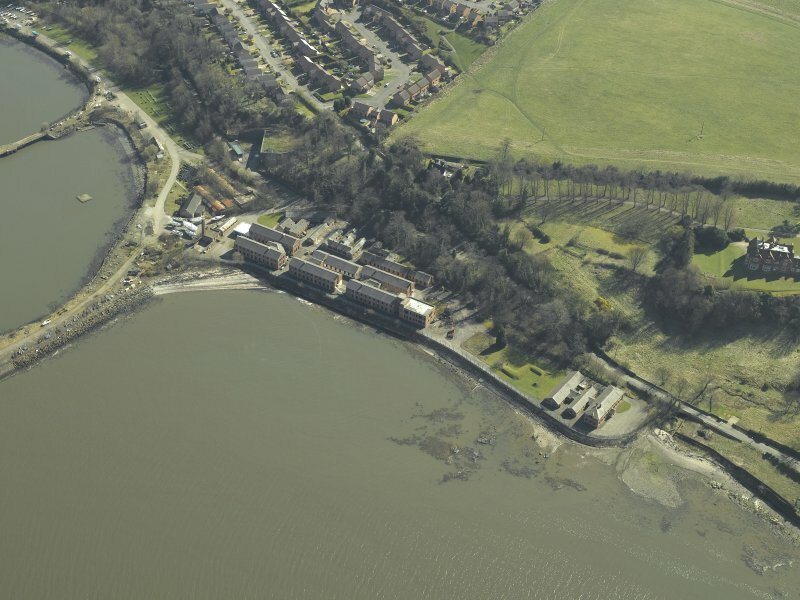 Oblique aerial view centred on the barracks, officers' quarters, air raid shelter, stores, boiler house and gym, taken from the SE. 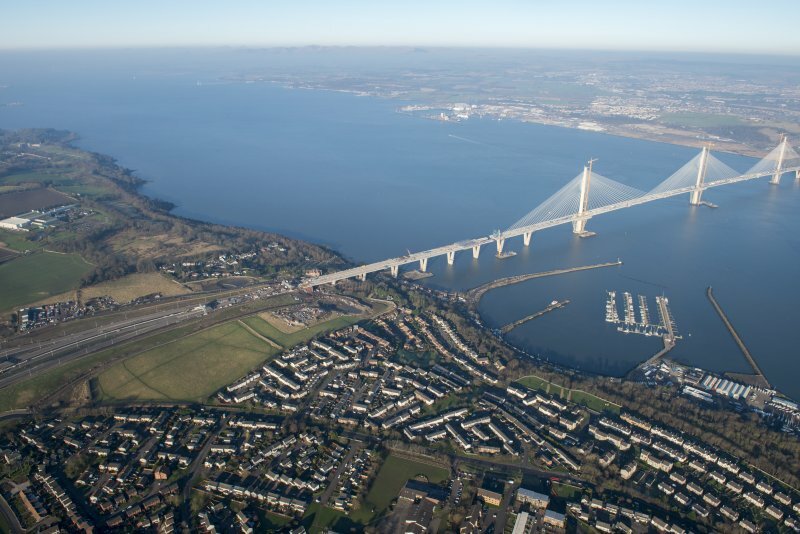 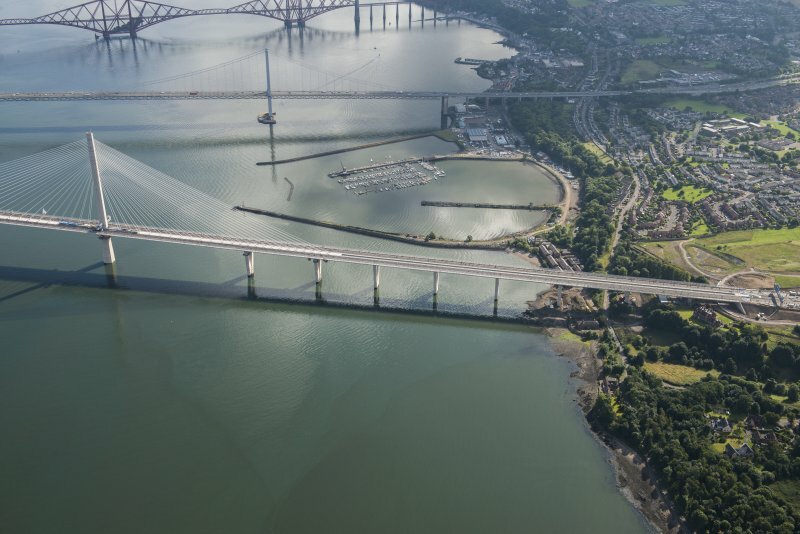 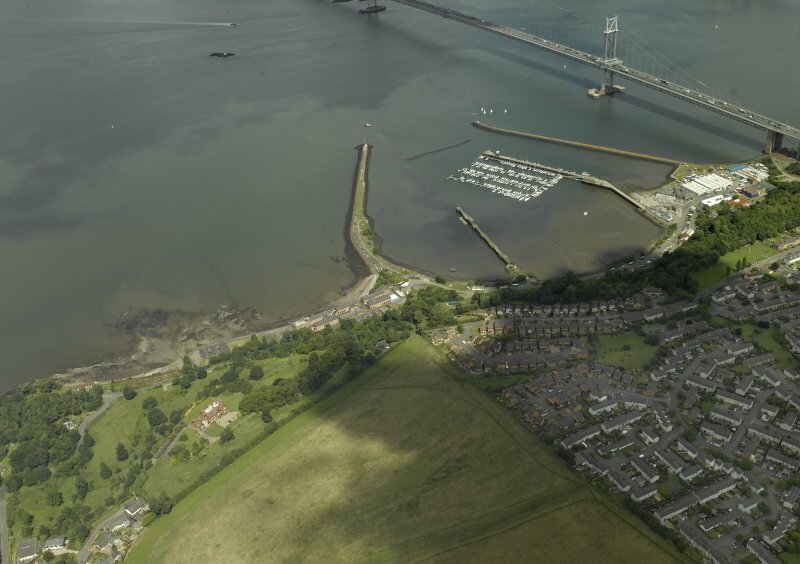 Oblique aerial view of the south tower of the Queensferry Crossing and Port Edgar, looking ESE. 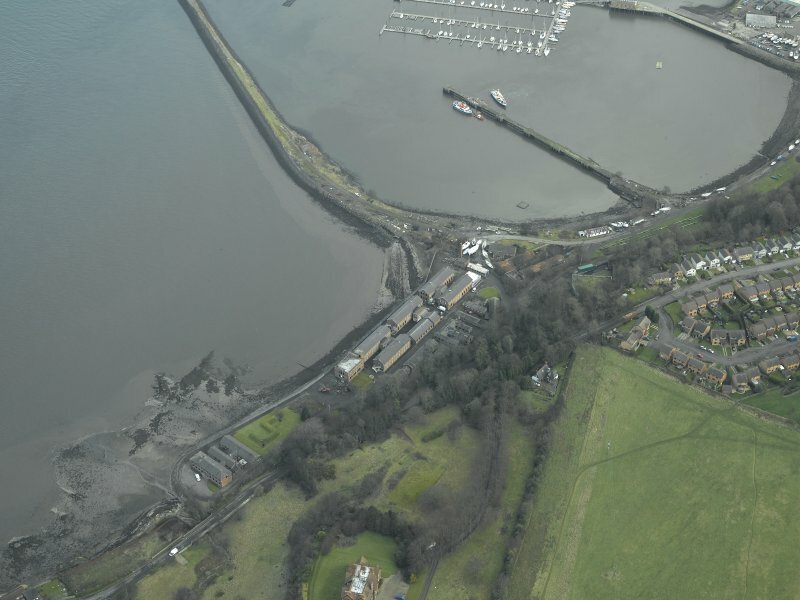 General oblique aerial view centred on the former Royal Naval Base, taken from the S.
Oblique aerial view centred on Port Edgar harbour and former Naval Base, taken from the S.
Oblique aerial view of Port Edgar, looking SW.
Oblique aerial view centred on the former Royal Naval Base, taken from the NW. 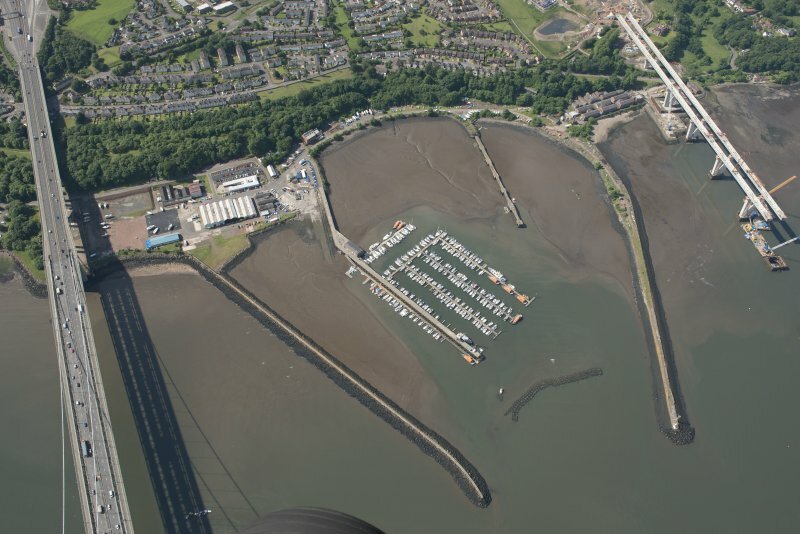 Oblique aerial view centred on Port Edgar harbour and former Naval Base, taken from the ESE. 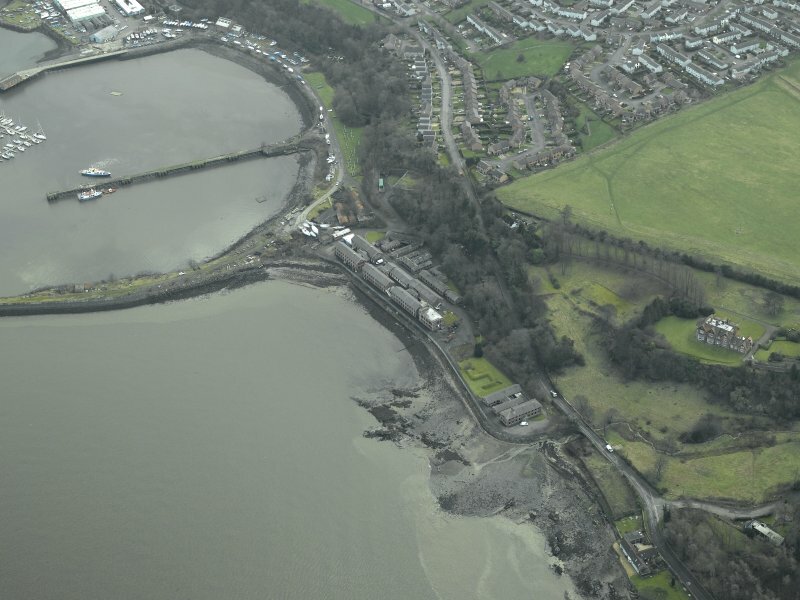 Oblique aerial view centred on Port Edgar harbour and former Naval Base, taken from the W.
Oblique aerial view centred on the Port Edgar Royal Navy barracks, officers' quarters, air raid shelter, stores, boiler house and gym, taken from the SSE. 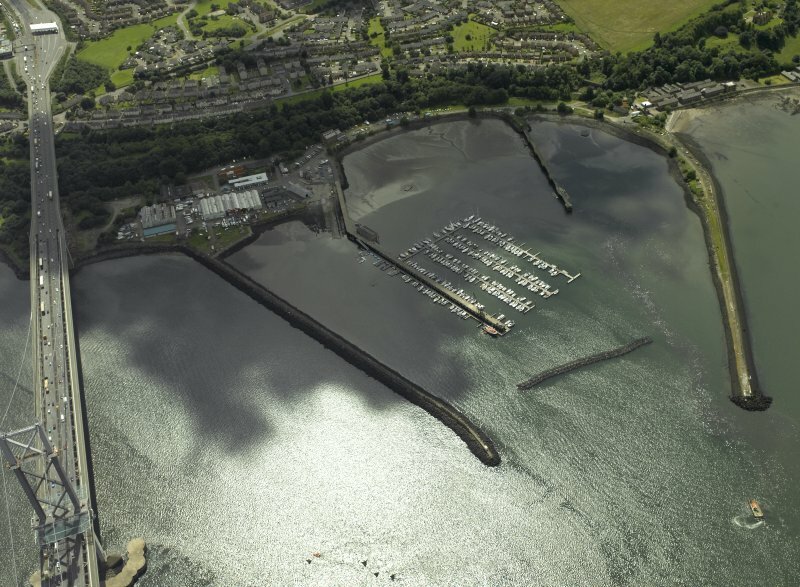 Having made enquiries about buying Port Edgar harbour as early as 1911, Admiralty bought the port in 1916 to develop it as a base for Torpedo Boat Destroyers. 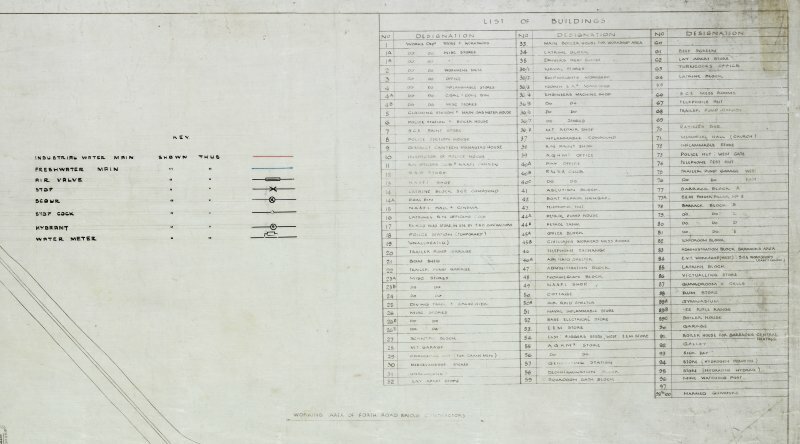 Originally planned to accommodate up to 52 destroyers, in the end 66 could be berthed. 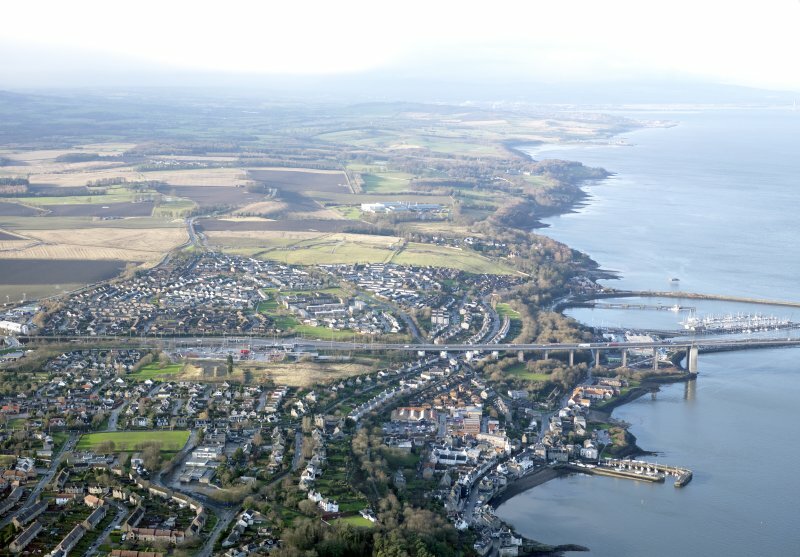 The Admiralty's work included dredging the harbour and completing the east breakwater, which the harbour's previous owners, the North British Railway Company, had not done. 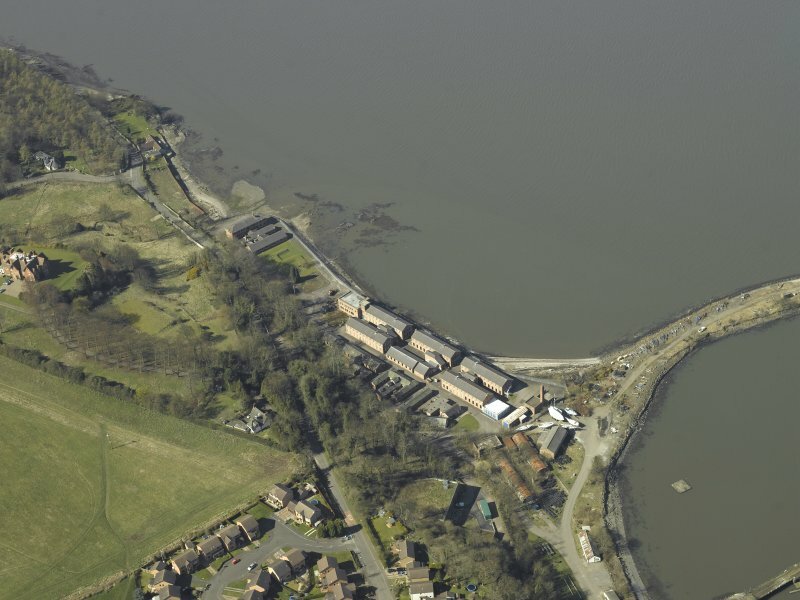 The base was commissioned in December 1917, but the partly-completed base had probably been in use before then. 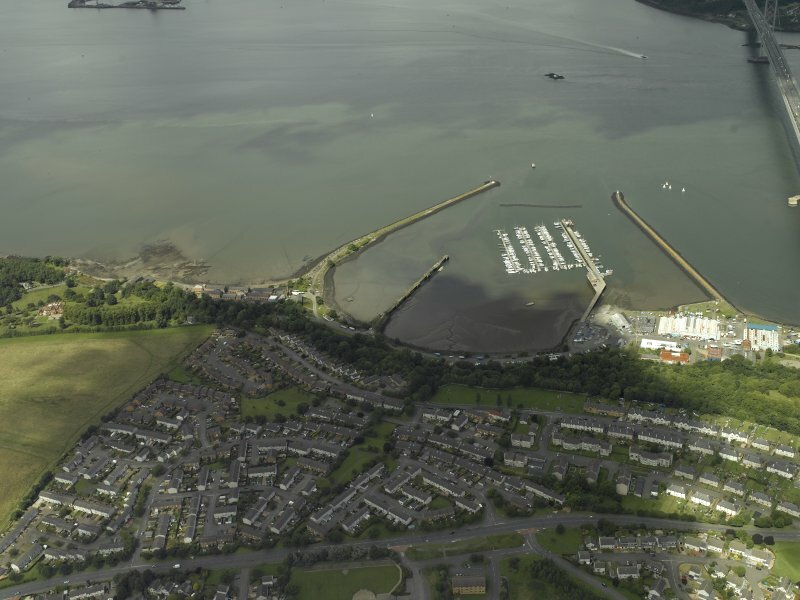 The majority of the buildings that survive in what is now Port Edgar Marina are probably of First World War date, although the base was again used in the Second World War. 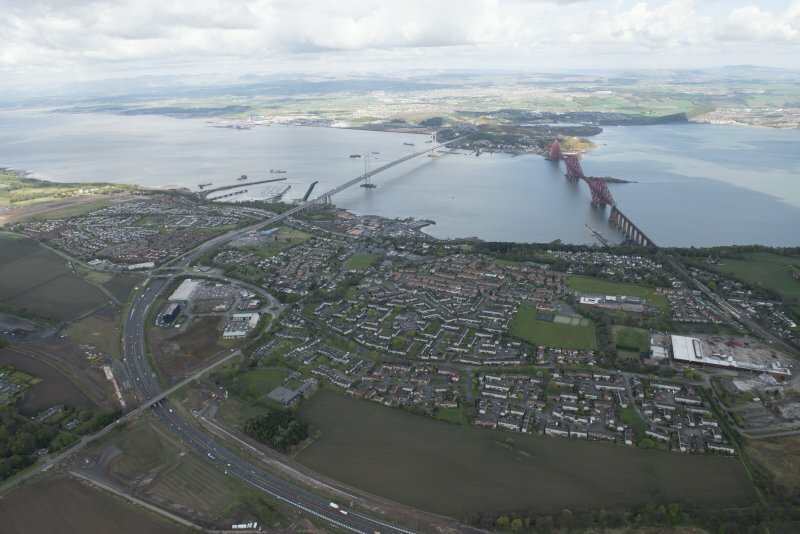 Information from HS/RCAHMS World War One Audit Project (GJB) 3 October 2013. 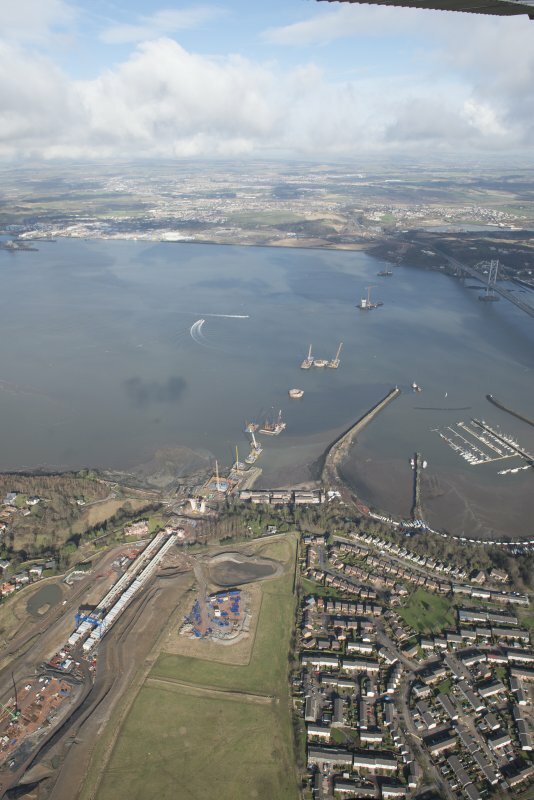 For associated major establishment of HM Dockyard, Rosyth (NT 09 82) and list of other naval establishments in the area, see NT08SE 41.00. 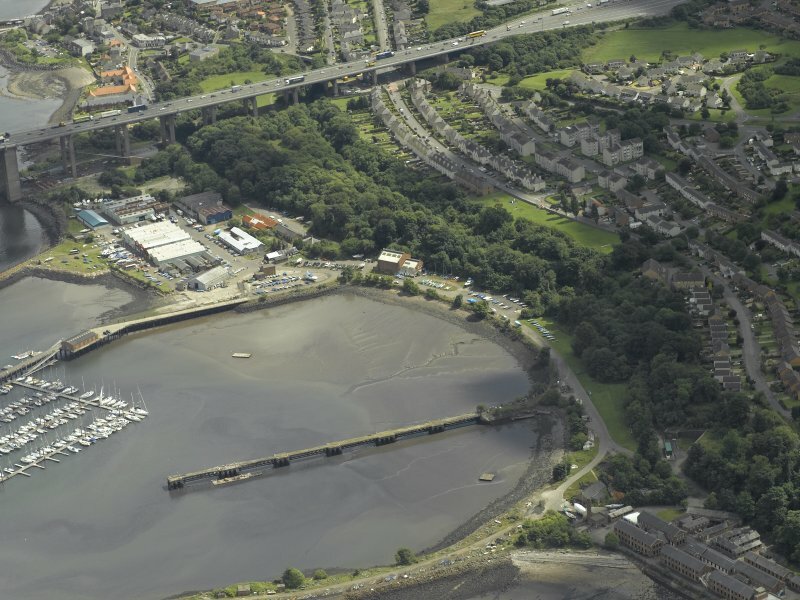 Not to be confused with HMS Lochinvar at Granton Harbour, for which see NT27NW 28.00. 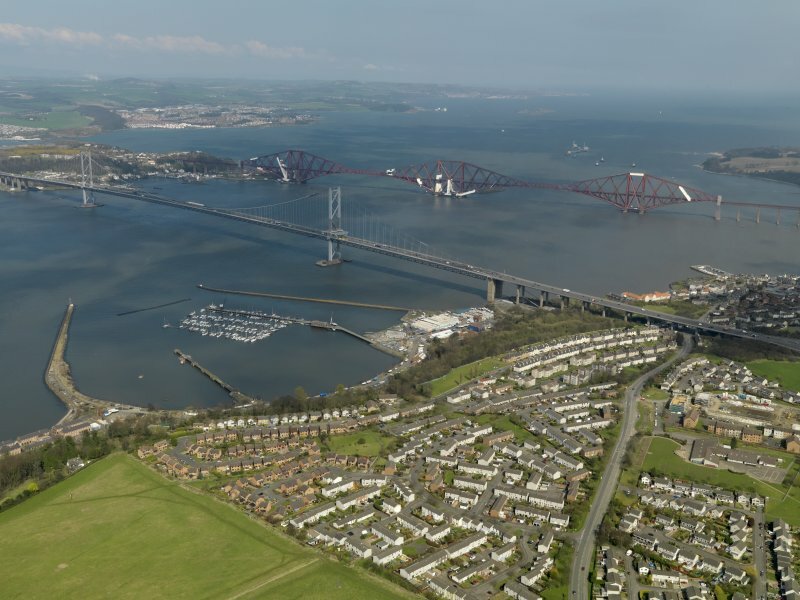 For coastal artillery, anti-aircraft and anti-submarine defences around the dockyard and the Forth Rail Bridge (NT17NW 70), see under individual entries as classified under 'Defence; Military...'. 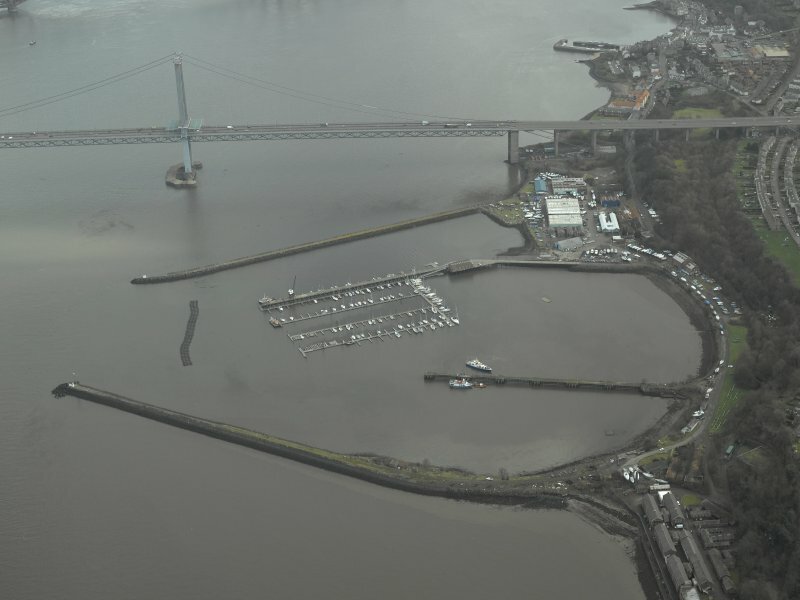 Port Edgar: 'A middling sized freestone pier, in very good repair. 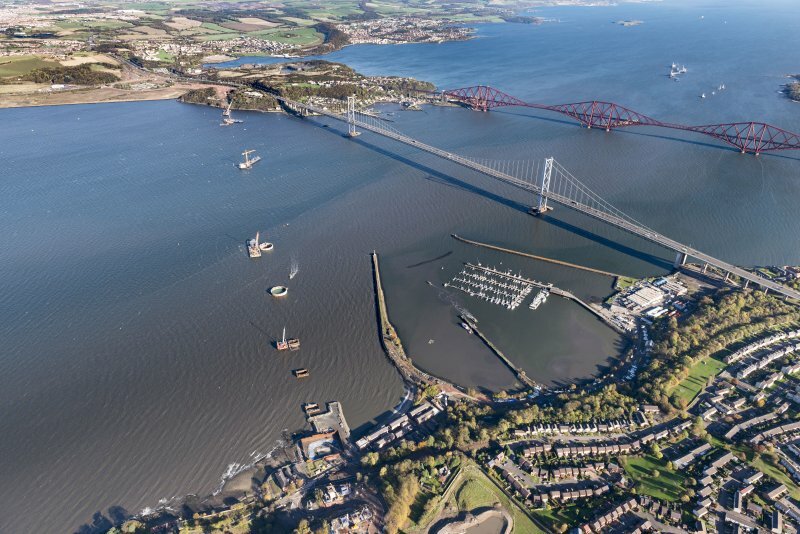 It was erected in 1810 by the Queensferry Passage Trustees at the expense of £4763-13s-10d and is 378 feet in length. 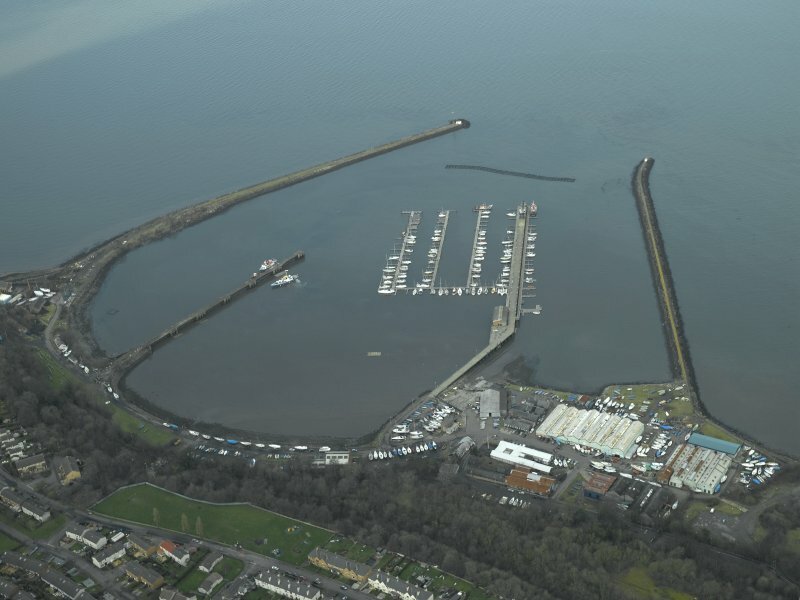 The ledge of rock on which the pier was built was naturally suited for a landing place and to the circumstance of Edgar Aitheling (heir to the Confessor) landing here it derives its name. 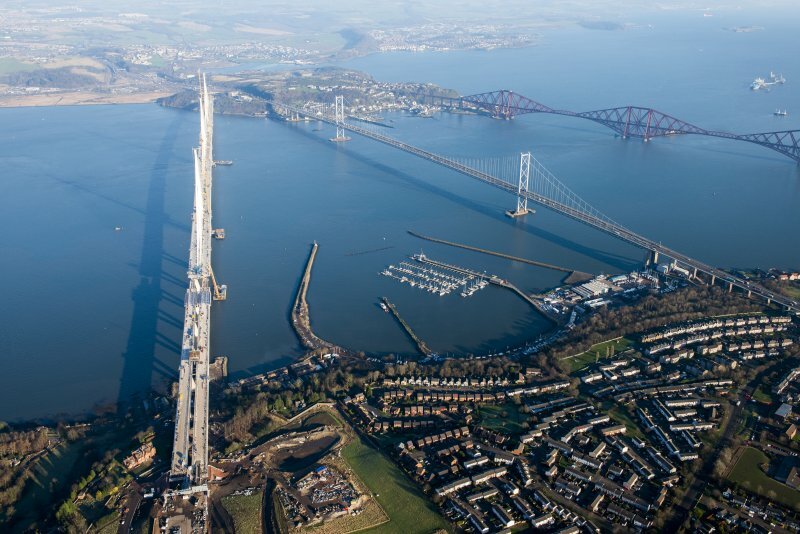 On 15th August 1822 King George IV embarked here after paying a visit to the Earl of Hopetoun. 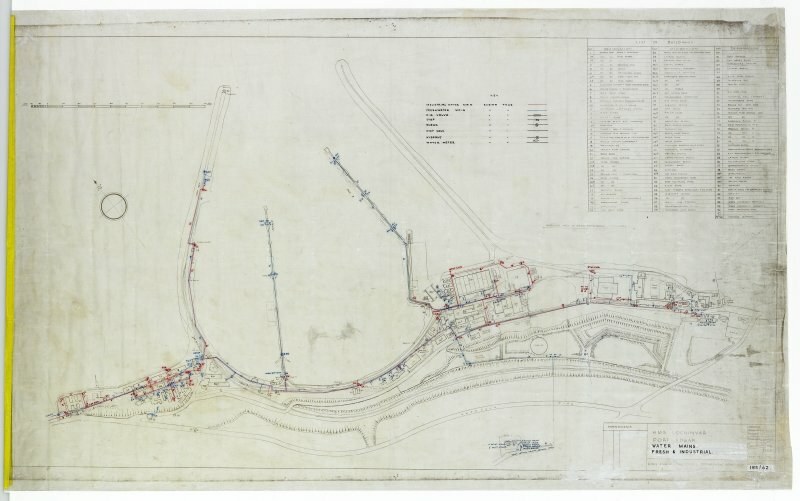 OS 1:10,560 map, Linlithgowshire, [new series], iv.8, 1916. 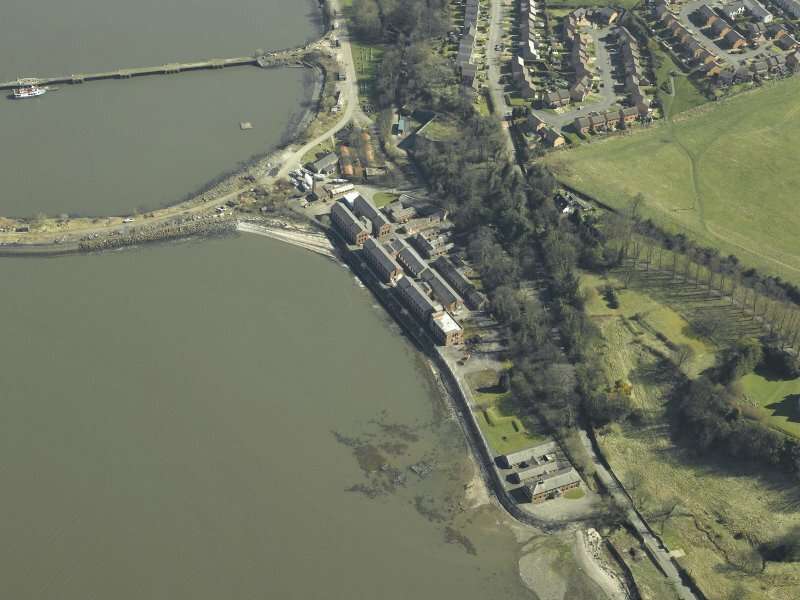 1917 Port Edgar commissioned as HMS Columbine: 66 destroyers accommodated in pens. 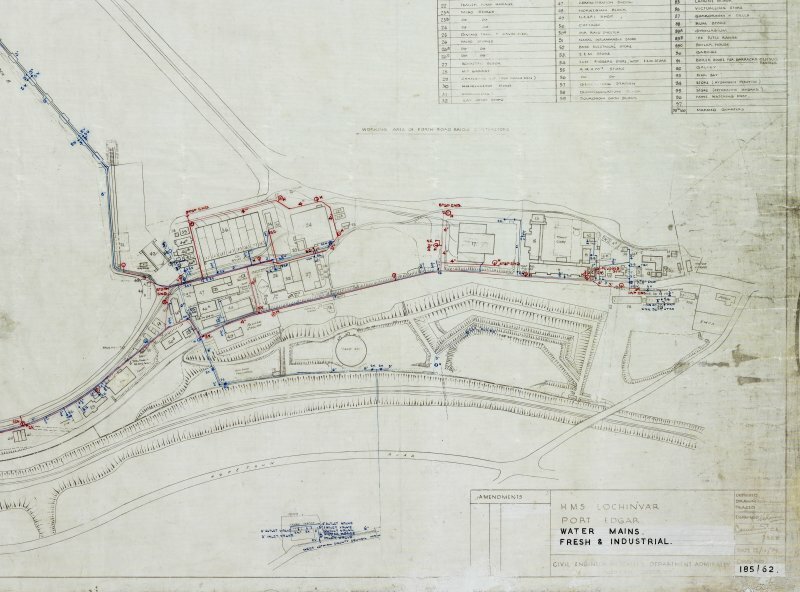 1919 Mutiny among destroyers of First Flotilla at Port Edgar on grounds of conditions of service in North Russia. 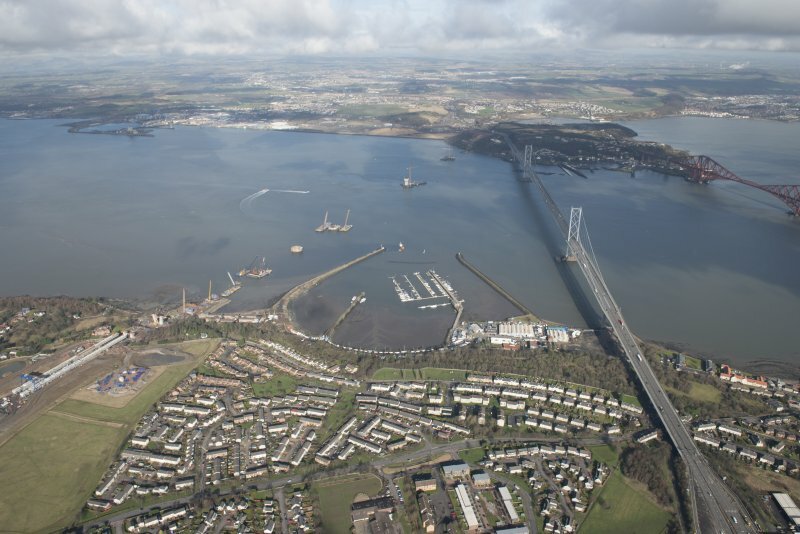 1928-38 Port Edgar closed: local concern at loss of jobs. 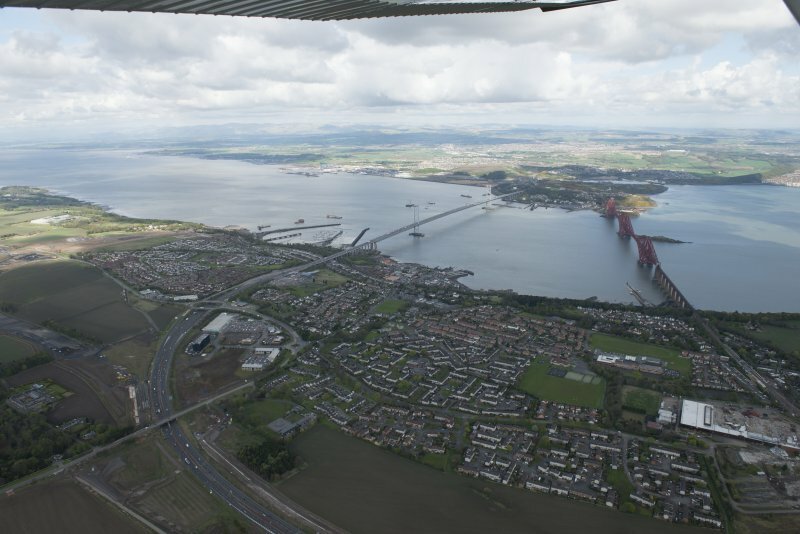 1943 Port Edgar re-named HMS Hopetoun and enters service as Combined Operations Training Centre in preparation for Normandy landings. 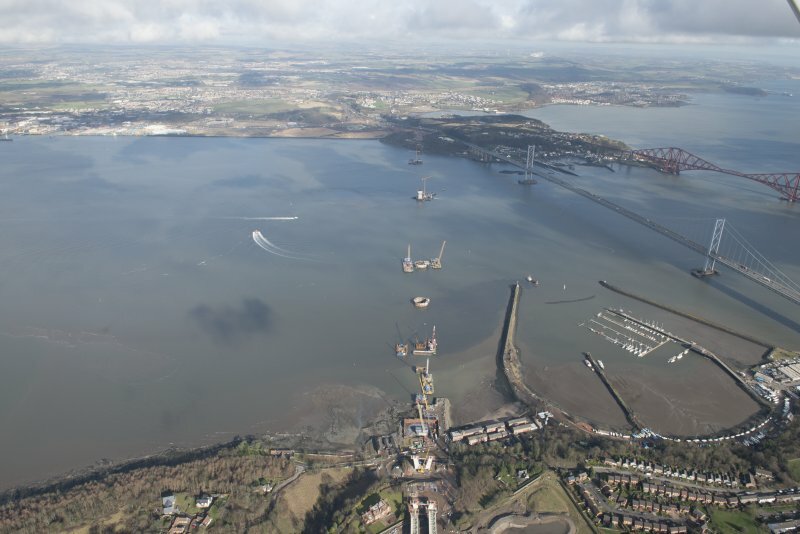 Name HMS Lochinvar and role of minesweeping training transferred to Granton Harbour (NT27NW 28.00). 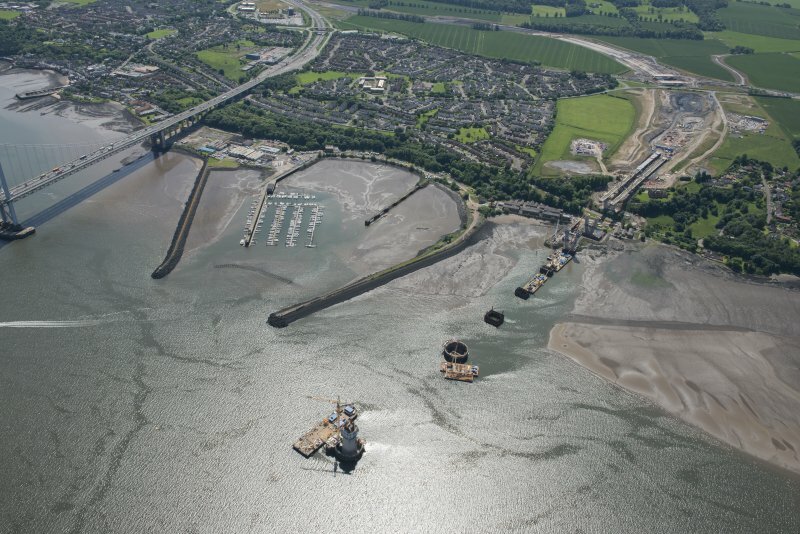 1946 Port Edgar resumes name HMS Lochinvar: provides base and co-ordination facilities for post-war mine clearance. 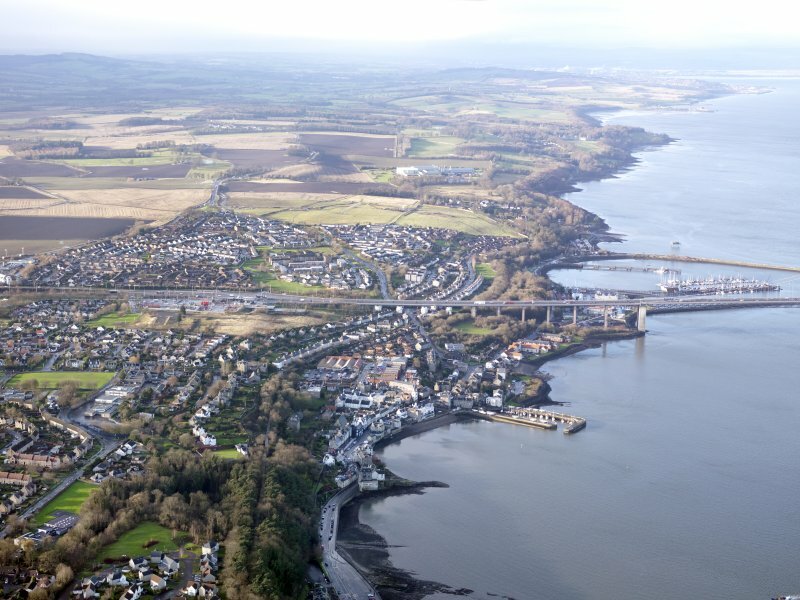 1948 Port Edgar becomes minesweeping Trials and Experimentation Establishment. 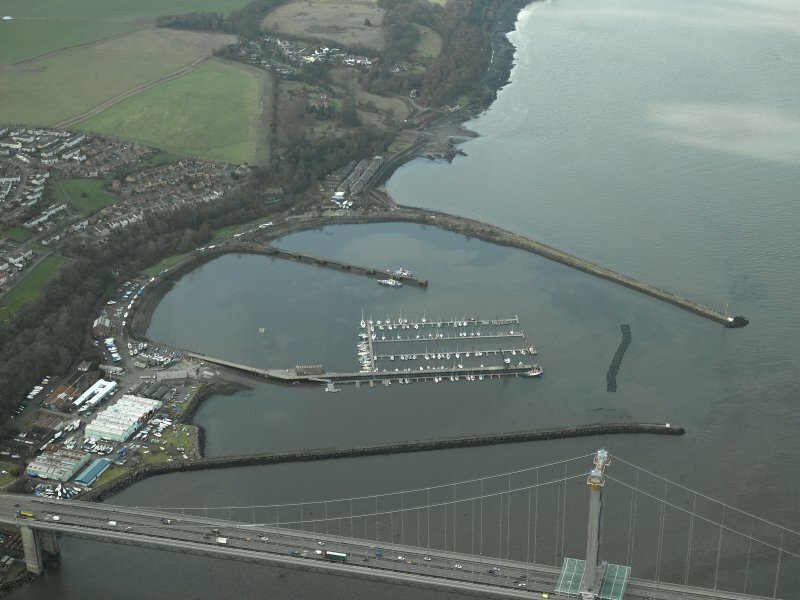 1960 Port Edgar becomes responsible for all minesweeping training. 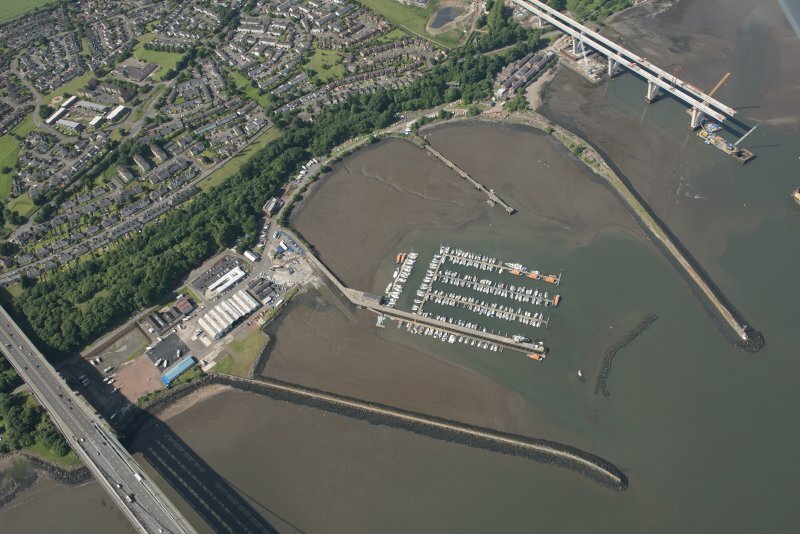 1978 Lothian Regional Council purchase site for use as marina. 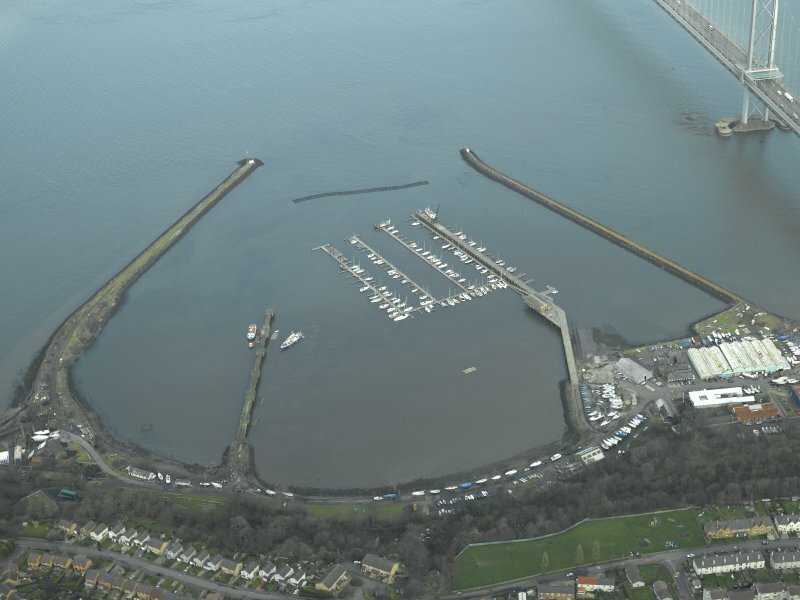 1988 Algerine Association memorial ('cairn') erected. 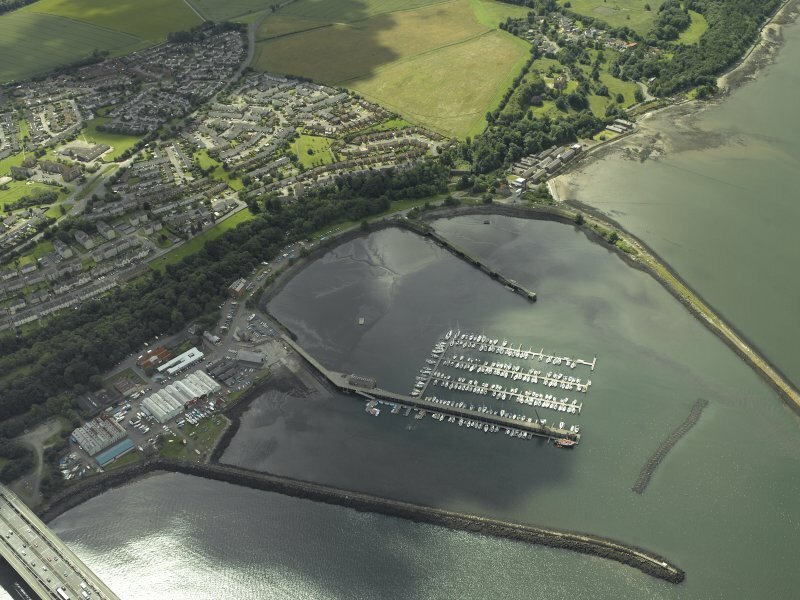 This is a large working harbour and marina within stone walls which are well maintained. 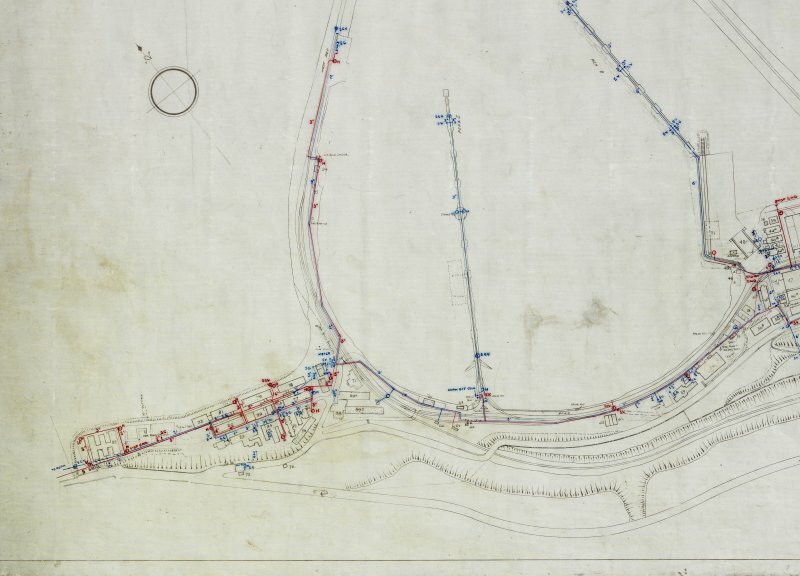 Site recorded by GUARD during the Coastal Assessment Survey for Historic Scotland, 'The Firth of Forth from Dunbar to the Coast of Fife' 19th February 1996. 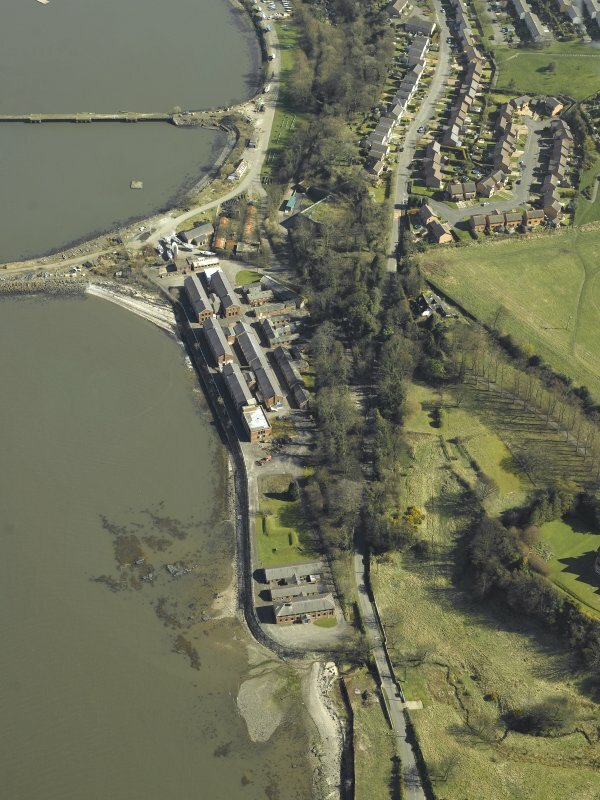 Former fishing harbour converted and rebuilt into a destroyer base immediately before the First World War. 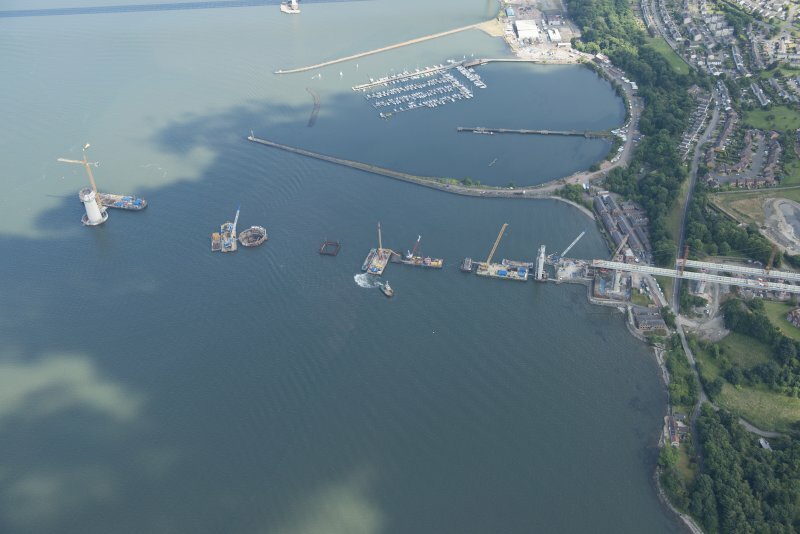 Originally wooden piers and jetties were used housing about 36 detsroyers. 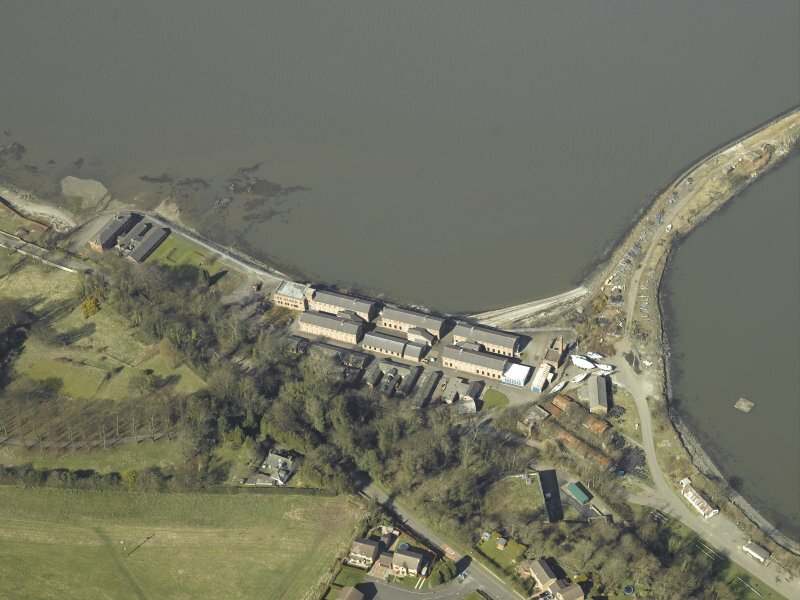 'Oil fuel, electric power and fresh woater were laid on' (Cunningham 1951) with extensive workshops, an electricity power station, barracks, for both officers and ratings, drill areas and canteens and messing halls. 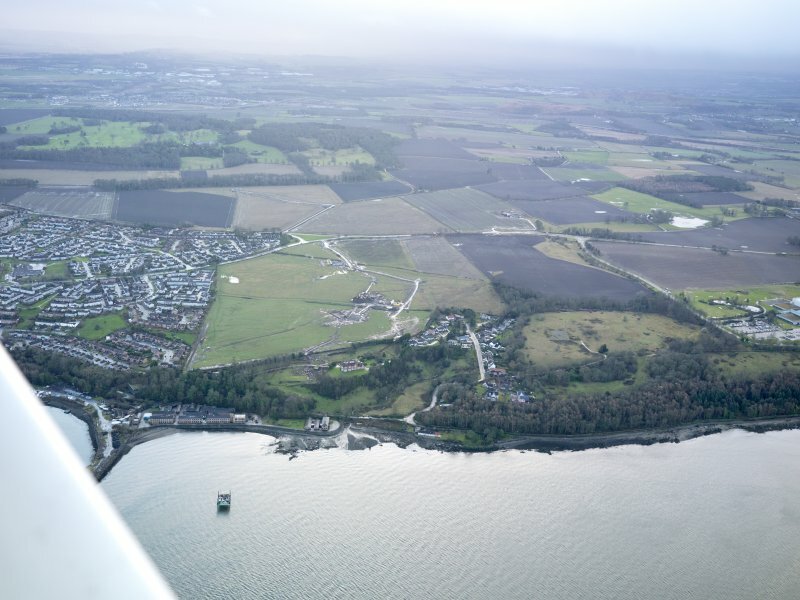 In area, including the harbour, the base totals about 40.70 hectares.